Hungry Mother State Park, Marion, V.A. After a slow drive down to Virginia we arrived in Marion where we spent 4 nights at Hungry Mother State Park. For the first 2 nights the campground was very quiet with only about a quarter of the sites filled. The park isn’t too big, but it has a some nice trails, a beach for swimming and a boat ramp for non-motorized boats. 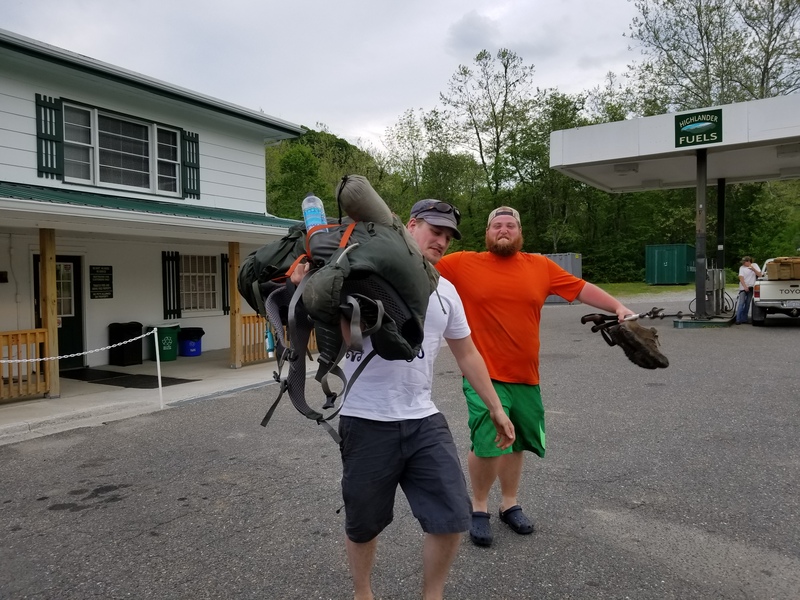 After a quick set up at the camp site we drove about 20 miles west to pick up our friend Purdy at a general store that seemed to be in the middle of no where. Purdy is thru hiking the Appilachian Trail and just passed the 500 mile mark on the trail. Paul and I hosted him for a few days in the camper. We cooked him hot meals, watched movies, and gave him a bed to sleep on, making him a very happy camper. Our fist two days were spent hanging around the town of Marion and relaxing at the campground. Friday we decided to head down to Damascus, Virginia for a thru hiker festival called Trail Days (post to follow). 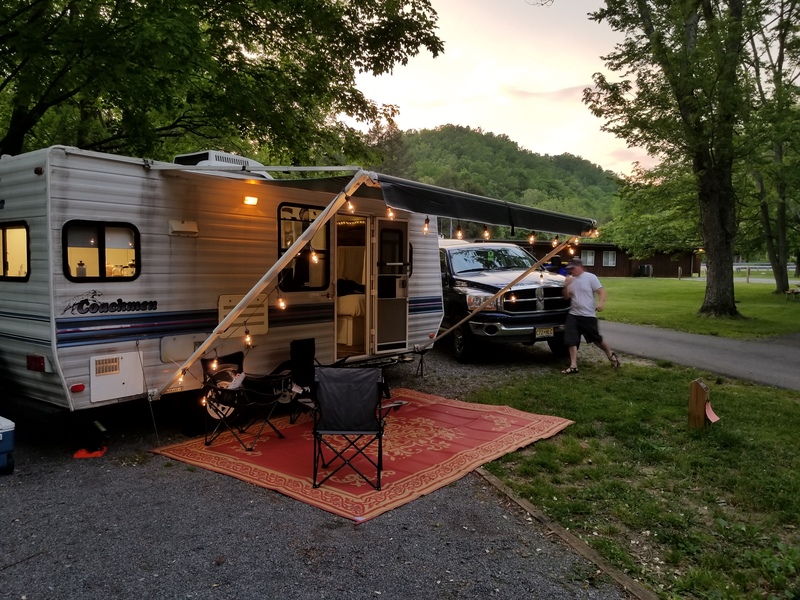 We spent our last night in the camp enjoying their hot showers and laundry facilities before we had to pack up and head south to the Smokey Mountians!